I don’t generally wear bracelets, but I made an exception for the Birmingham Wine Weekend band. 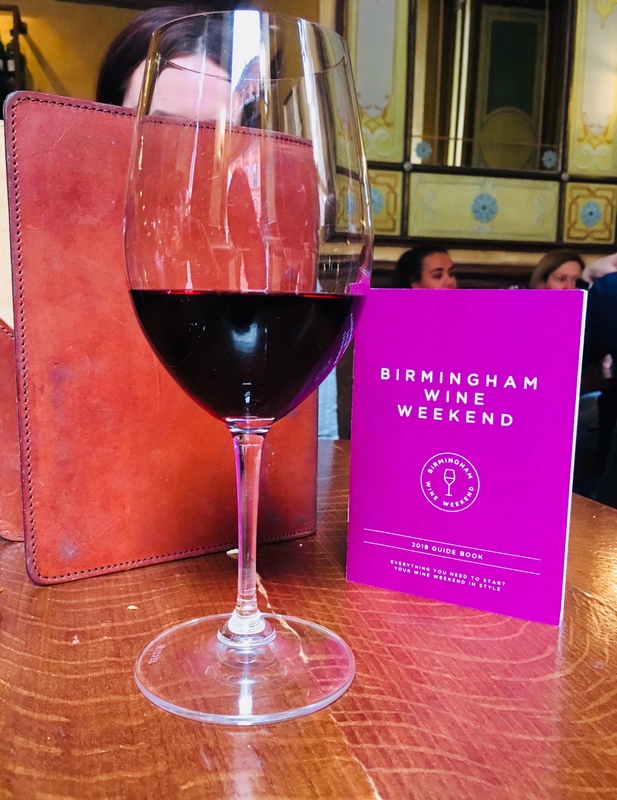 Following from the success of the cocktail weekend, the same folk launched Birmingham Wine Weekend for 2018. For £10 a magical maroon wristband is provided which grants you access to 21 of the finest bars, hotels and restaurant in the city; copious amounts of vino ensues. Along with your wristband you’re armed with a booklet containing participating venues, each one offering a choice of two wines for £4. The premise is simple: plan your route, enjoy far too much plonk, and make sure you have a packet of ibuprofen on your bedside table for the morning. 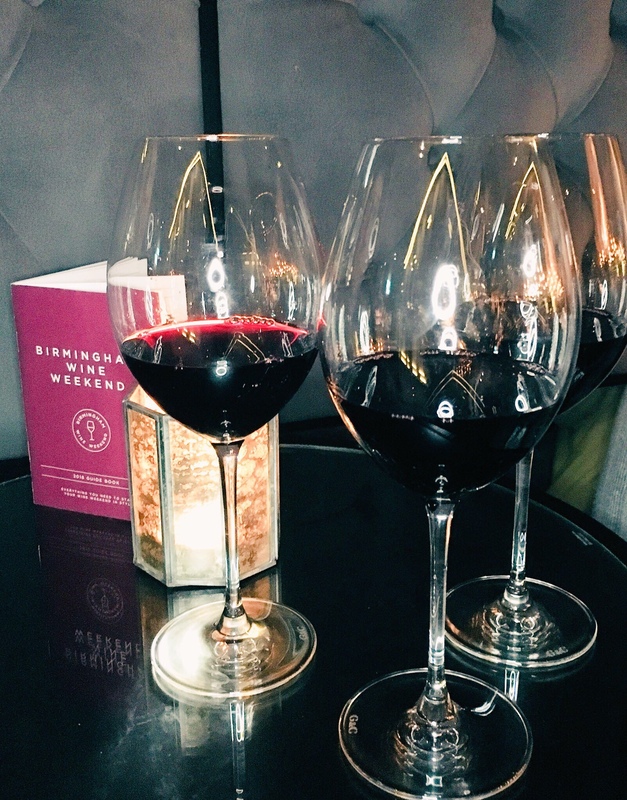 We spent the first part of Saturday at the Independent Birmingham Festival, so our boozy adventure started (or rather continued) mid afternoon in and around the bars of Colmore Row. Gaucho was our first port of call for a deeply delicious Malbec: Bressia Crystal. Great to see Phil Crozier again too; I met him last year at a Gaucho Beef and Malbec Masterclass. Next stop was Hotel du Vin (across the road from Gaucho) for a cheeky Italian number called Passori. A smooth Merlot we all enjoyed, the hotel bar was really bustling which was lovely to see. Gusto was next on the hit list, for a Spanish Rioja. 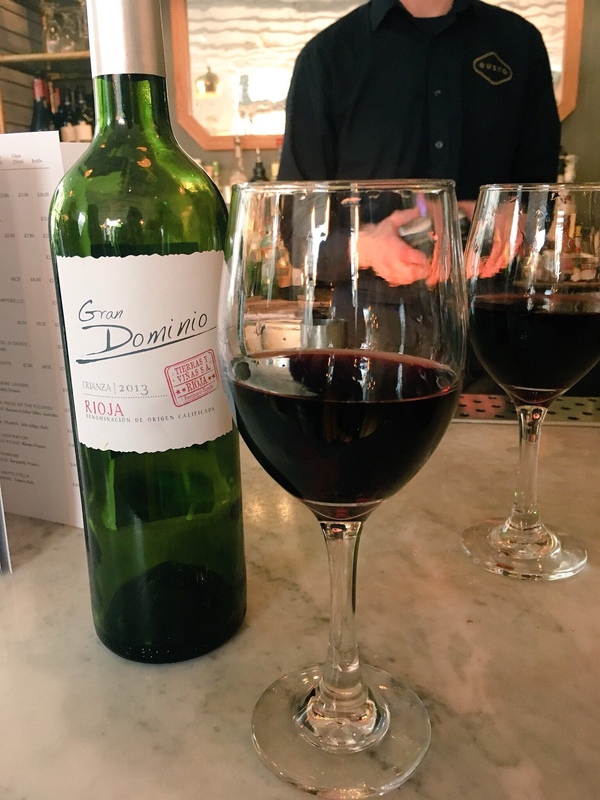 The Gran Dominio was luscious and full bodied, with delicious cherry notes. My favourite stop of Saturday’s tour was the Edwardian Tearoom in Birmingham Museum & Art Gallery. I love being in this place after hours, especially when it involves Champagne. To accompany the live music, we sipped (numerous glasses of) Piper-Heidsieck; this stuff is ruddy delicious. We followed this with a fleeting visit to Chung Ying Central for a glass of Kalecik Karasi and much needed food in the form of prawn crackers and spring rolls. I thought this was my favourite wine of the night, however my friend George tells me I said this about all the wines. Because I’m a lush, let’s be honest. We also visited Spanish restaurant Amantia, but truth be told the photos I took here are so terrible (the pictures, not the lovely Tramuz Joven we enjoyed with live flamenco dancing) I can’t bring myself to post them. Sorry Amantia, that’s no reflection on you or the wonderful experience you were giving visitors free of charge. Bravo. Come Sunday I felt like my face was melting. I’m nearly 33 and frankly 8 glasses of grape juice is enough to have you begging someone to just shoot you and put you out of your misery. Nonetheless, because my husband is a machine and I’m a glutton for punishment, we also visited a venue on the Sunday. 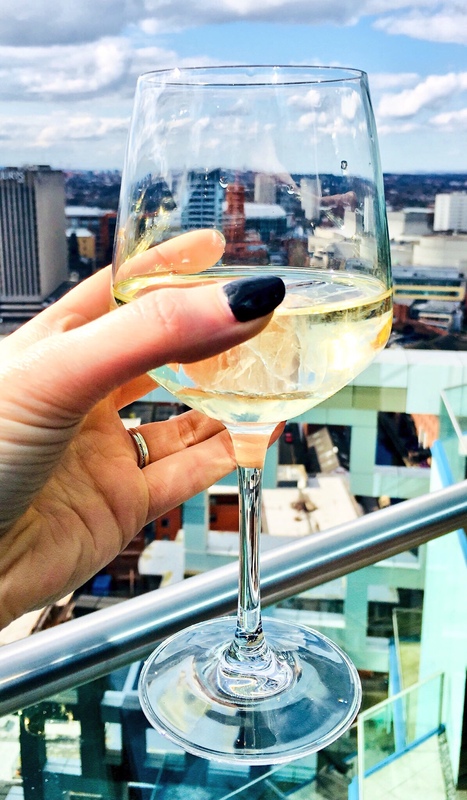 With the sunshine finally making an appearance (and feeling rejuvenated thanks to a planet sized roast dinner from The Red Lion) we made our way to The Cube and took the lift up 25 floors to Marco Pierre White. Nice views over the city, and my only white wine of the weekend. I’m not a wine expert, hence why I can’t tell you huge amount about each one, I just really like drinking it with friends. This is an accessible way to try new venues and guzzle lots of lovely vino for less. 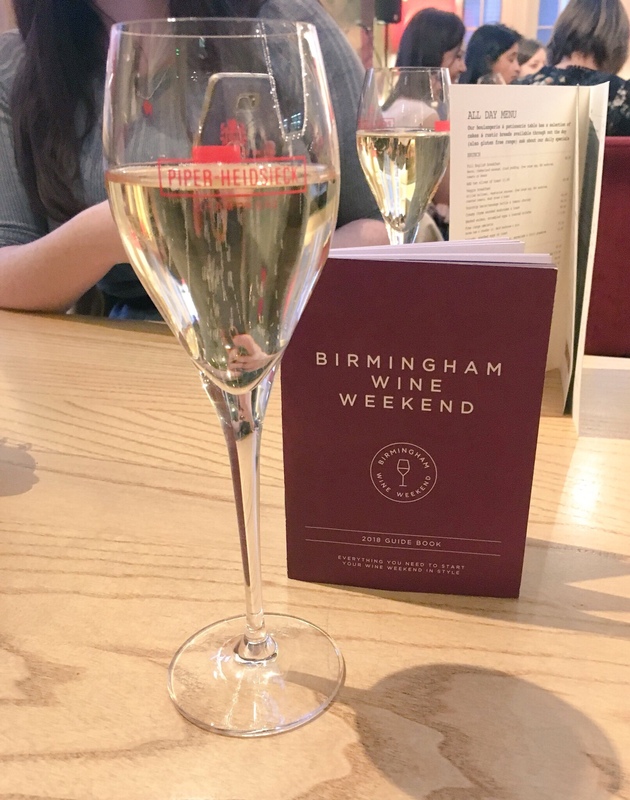 I was absolutely broken by the end of the weekend and Monday was a complete shambles, so I like to think I did Birmingham Wine Weekend right. Right..? 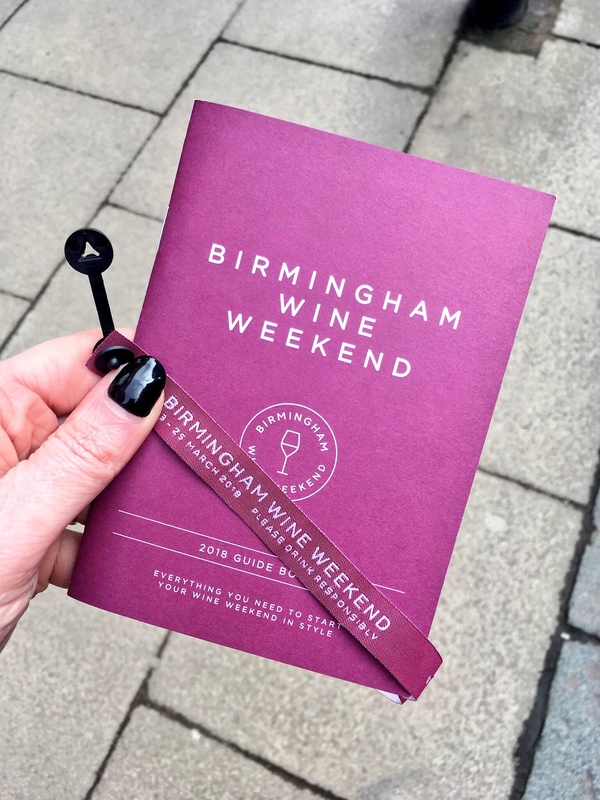 Did you go to Birmingham Wine Weekend? 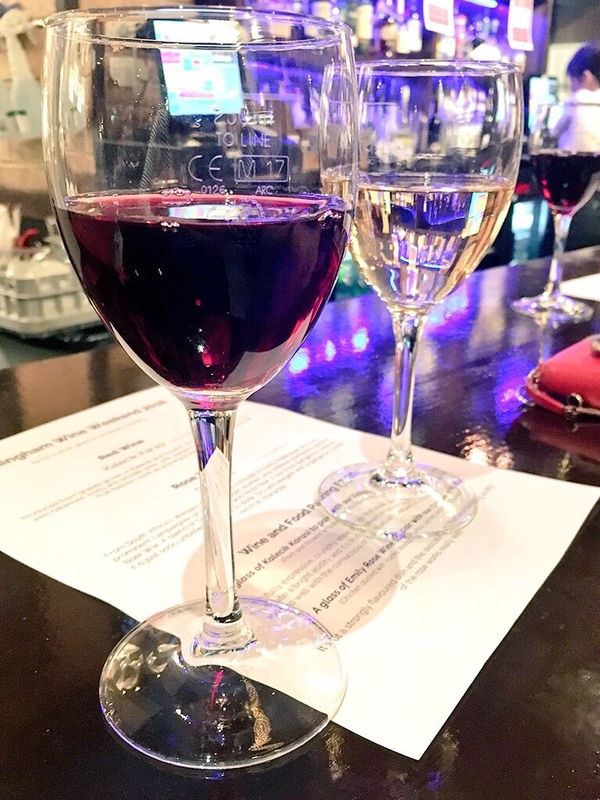 Which wines did you enjoy most, or did you discover a new favourite? Let me know in the comments.